Traditional or interactive the kiddie ride will please young and old. From the individual to the carrousel, our range is large enough to equip all kind of spaces. 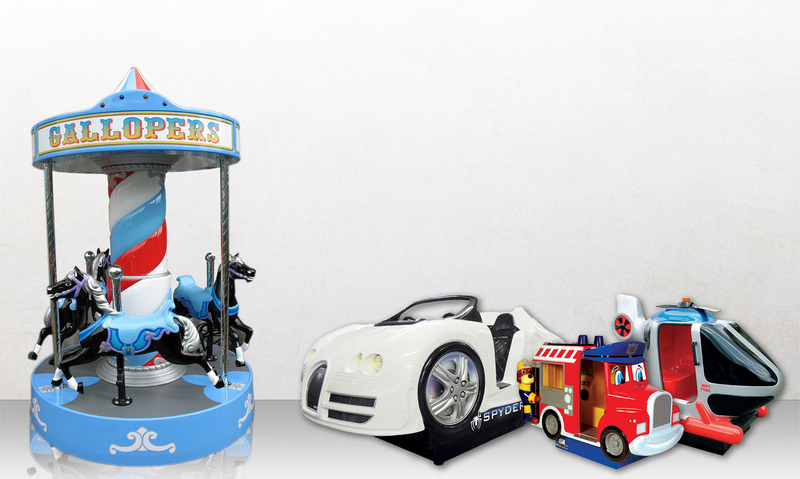 Bike, car, helicopter, our kiddie rides can be traditional or connected to interactive screen. Thanks to a process of self-coloured fiberglass our kiddie rides are safe and strong.